Seldek aluminium flashing is a self-adhesive flashing that achieves a durable, air-tight seal. 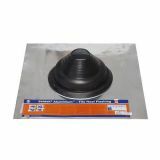 Click the links below to find out more about Dektite's superior product, and order your pipe flashing for pitched roofs in durable black EPDM. 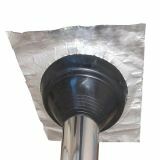 Looking for something specific, or want to know more about Dektite Seldek aluminium pipe flashing? If you can’t find it here, give our friendly customer services team a call on 01752 692760 and they’ll be glad to help you.